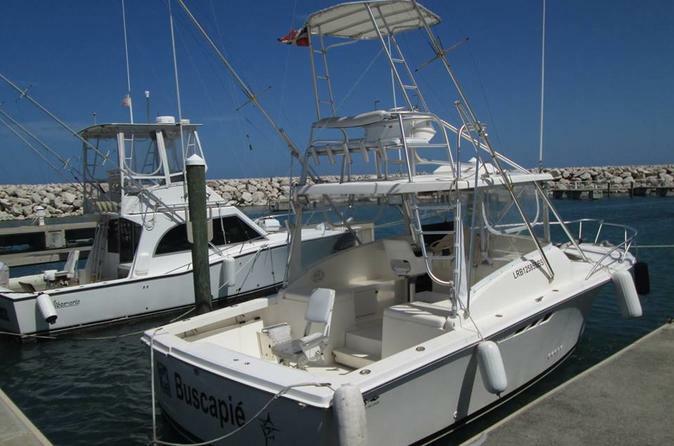 Get access to everything you need for a successful deep sea fishing trip on this charter from Puerto Plata. With a capacity for eight lines out at once and the guidance from an expert captain, you'll have the best chance at catching barracuda, bonito, black kingfish, dorado, grouper, jack, king mackerel, marlin, and other species. Included drinks and lunch ensure you can focus on fishing and not on what to pack for the half-day tour.